Rachel J Homes is delighted to market this Semi Detached House ideally located on the level and close to schools, shops, amenities and transport links. This would be an ideal First Time Buy, Investment or maybe you are will want to put your own stamp on it. The accommodation briefly comprises of Entrance Hall, Separate Lounge, Dining Room, Kitchen. 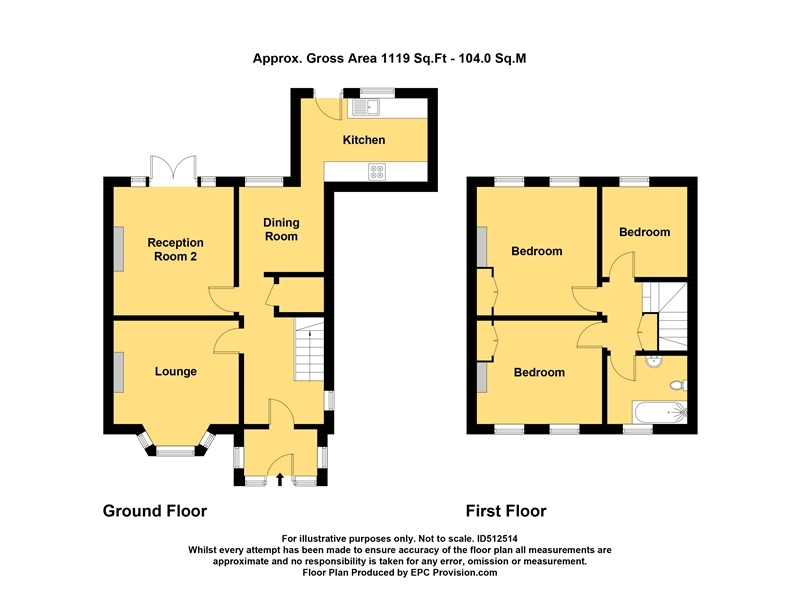 Three Bedrooms, Bathroom, Front and Rear Gardens. Added benefits of this lovely home include Garage & Driveway, Double Glazing and GCH. Accompanied viewings - CALL NOW to book yours. UPVC double glazed bay window, radiator, electric fire set into stone fire surround, light and fan. UPVC double glazed French doors and side windows to rear garden, radiator, coved ceiling. UPVC double glazed window to rear, UPVC double glazed to rear garden. Range of wall and base units with worktop over, stainless steel sink drainer, space for fridge freezer, plumbing for washing machine and dishwasher, electric oven and hob with extractor hood over, part tiled walls, tiled floor. Two UPVC double glazed windows to rear, radiator, built-in wardrobe. Two UPVC double glazed window to front, radiator, built-in cupboard and shelving. UPVC double glazed window to front, white suite comprising low level WC, pedestal wash hand basin, panelled bath with shower over, heated towel rail, fully tiled walls and lino flooring. Enclosed by wall and fence, patio area laid to paving, ornamental chippings, side access and personal door to garage. Laid to ornamental chippings and block paved driveway.